What a great treasure to have. I love to save all my kids' crafts and post them around the holidays. Merry Christmas! 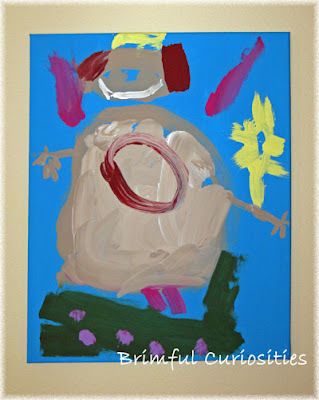 Gorgeous angel painting by your daughter! I hope you and your family have a wonderful Christmas. That's gorgeous!!! Merry Christmas:-) Good luck dealing with the now! Preschool art is the best!! Merry Christmas and thank you for stopping by today! Its a lovely angel. I was just checking out your profile and noticed we live in the same state. Howdy neighbor!